I never thought I'd find my future husband through online dating. Several friends encouraged me to try it out, but it took me several years (yes, you read that right) before I was ready to even make an attempt. In December 2013, while living in Chicago going to grad school, I created profiles on LDSsingles.com, LDSmingle.com, and Match.com. It felt weird and uncomfortable to put myself out there, even a little bit. I'd closed myself off from dating for a long time and wasn't ready to fully thaw. So after only one week and talking to just one guy, I deactivated all three of my accounts. Online dating was not for me after all--or so I thought. Flash forward to February 2015. Now living in Spokane, WA and working at Gonzaga, I'd spent the last several months becoming good friends with my coworker Krista. During that time I'd come to the realization that if I ever was going to have the opportunity to date I had to take some action. I'd spent enough time being afraid and unsure while dwelling on past heartbreak. 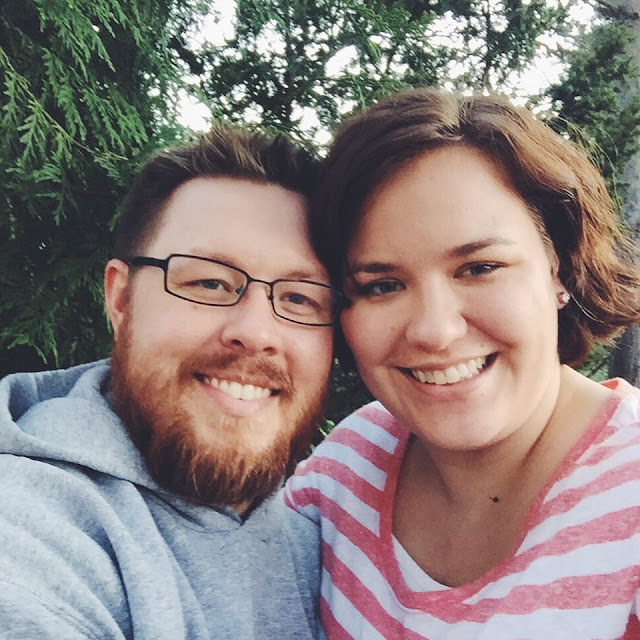 I still couldn't bear the idea of going to a singles ward (I did attend a few times when I moved to Spokane), so online dating seemed like the next best thing. At least it would be a good first step. That way no one, including myself, could say I wasn't trying. Krista and I met at Starbucks before work one morning to make my profile. I'd decided to try eHarmony this go around and even paid for a full subscription. Almost as soon as I signed up for eHarmony I started getting all of these emails from Match.com with potential matches. I knew my former coworker and good friend Jess had found her amazing boyfriend (now fiance) on Match and I'd already paid for eHarmony. Why not up my chances and pay for Match.com too? So I reactivated my account and paid $200 for a 6-month subscription. About a month later I got a message from a guy named Dale. It took me a few more messages over the next week before I was ready to really open up. Luckily, Dale didn't give up on me. Soon we were emailing each other everyday and eventually exchanged phone numbers and started talking on the phone. On our second official phone call he asked me out on a date. Dale's and my first date was exactly one year ago today. He picked me up with a bouquet of flowers in hand (good job honey!) and took me to Azteca for dinner (a fitting choice because he knew Mexican was my favorite). At dinner I tried my first bite of mole and he tried his first sip of a Shirley Temple. Afterwards we held hands and walked through Riverfront Park, where we eventually shared our first kiss. Later that night we strolled through Target laughing and talking while I tried on Thor's masks in the toy aisle and read children's books aloud. A year after that first date, we're busy enjoying all our new home of Albuquerque has to offer and starting to plan our wedding. Sometimes it's hard to believe that I ever lived my life without Dale. Over this past year we've shared highs and lows together, all of which have strengthened our relationship and commitment to each other and our family. We are continually working to build a strong foundation together. Finding the person you want to spend forever with really is like coming home. I know that's rather cliche but it's true. I didn't know I could love someone more every day the way I love Dale and I know he loves me. I'm forever grateful that I finally got the courage to take the advice of my good friends (thank you Jess, Krista, and Tasha!) and try online dating. Heavenly Father definitely had a hand in bringing Dale and I together at the right time for both of us. I'm grateful to be with a man who loves me unconditionally, is an amazing dad, honors his priesthood, and makes me laugh everyday. I couldn't ask for more. YAY!!! Congrats Clarissa! So happy for you both!